Pennsylvania nonprofit law restricts how nonprofit corporations may distribute profits, and the law requires that nonprofits have a charitable purpose. Unlike for-profit corporations, nonprofits may not distribute profits to the board members or shareholders -- apart from reasonable compensation for services that individuals perform for the nonprofit. All Pennsylvania nonprofits must have a charitable purpose, meaning that the organization must serve to benefit the community. For example, the nonprofit may focus on ending poverty, or promoting health, education or religion. 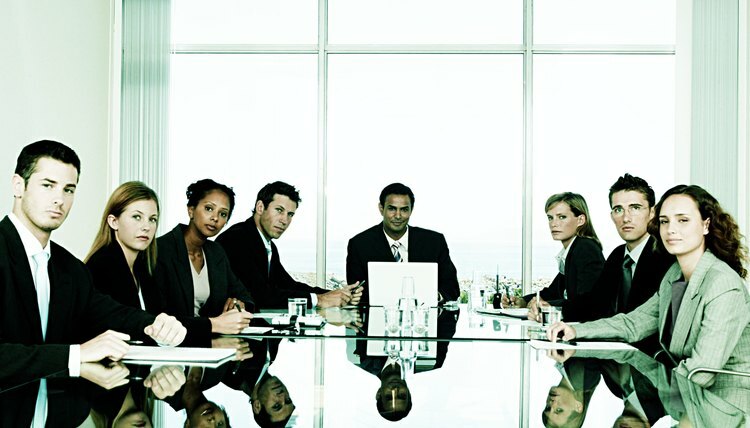 Pennsylvania law requires nonprofit corporations to have a board of directors, which is responsible for managing the organization. Every board must have a president, secretary, and a treasurer, although one individual may perform more than one role. The board may draft bylaws, which will provide how new board members may be added or removed from the board. If no bylaws are in place, Pennsylvania law provides that each board member will only serve for one year. Board members have the responsibility of acting in the best interest of the nonprofit, meaning they may not advance their own financial interests while serving the board, and they must make informed financial decisions for the organization. After you determine that your corporation complies with the profit distribution and charitable purpose requirements, and you have a board of directors in place, you may file the formation documents to form your nonprofit corporation in Pennsylvania. To do so, you must file Articles of Incorporation with the Secretary of State. In addition, you must file a Docketing Statement with the Department of State, which provides basic information about your nonprofit. You must also publish a statement that provides your intent to file the articles of incorporation with two local newspapers, including one legal journal. All nonprofits in Pennsylvania must maintain business records at their place of business, including a list of the board of directors and the organization's bylaws. Additionally, if your nonprofit will solicit money for donations, you are likely required to register with the Department of State, Bureau of Charitable of Organizations. However, organizations that raise less than $25,000 annually and do not pay someone for fundraising services are not required to register. For registered nonprofits, you must also submit annual reports to the department with information about your fundraising activities. To be recognized as an "exempt" 501(c)(3) organization, nonprofits must file an application with the Internal Revenue Service. Once exempt, the nonprofit is not responsible for paying federal income tax, and donations made to the organization are tax deductible for the donor. Nonprofits must file Form 1023 with the IRS, which will include detailed information about the finances and activities of the organization and must include the bylaws and any organizing documents, such as the Articles of Incorporation. The IRS will make a determination as to whether or not the nonprofit meets the requirements for an exempt organization based on the application. A nonprofit is an organization formed to serve the public good, such as for a charitable, scientific, religious or educational purpose. The goal of a nonprofit is not to create profits for investors. The Wisconsin nonprofit laws provide guidelines for forming and operating a nonprofit in the state. Nonprofits generally follow the requirements of non-stock corporations, but have strict restrictions on profit distributions. All nonprofits should be careful to follow the legal requirements of their states, and may face fines or dissolution if not in compliance.